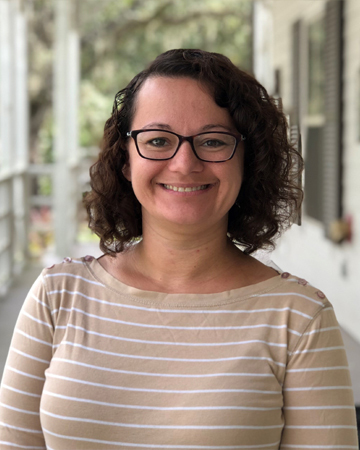 Shelby Rosenblum, MA, MMT, LPC, LAC, NCC, MT-BC, has been working in the mental health and addiction fields in the New Orleans area since 2006, when she began her career as a board-certified music therapist. She worked in several different settings including in-patient psychiatric hospitalization, partial hospitalization mental health treatment, and in admissions for addiction treatment programs. In 2011, Shelby realized she wanted to deepen her skillset so she enrolled in graduate school at Appalachian State University where she received master’s degrees in music therapy and clinical mental health counseling, as well as graduate certificates in expressive arts therapy and addiction counseling. After graduate school, Shelby returned to Louisiana and has worked in a variety of treatment settings. Since then, Shelby has been excited about continuing to expand her knowledge and abilities. She has completed EMDR training and is honored to hold space and bear witness to her clients’ experiences of trauma. Shelby is very interested in incorporating creativity, the arts, and nature into her practice and is grateful to have such a beautiful setting in which to play a part in her clients’ recovery stories.